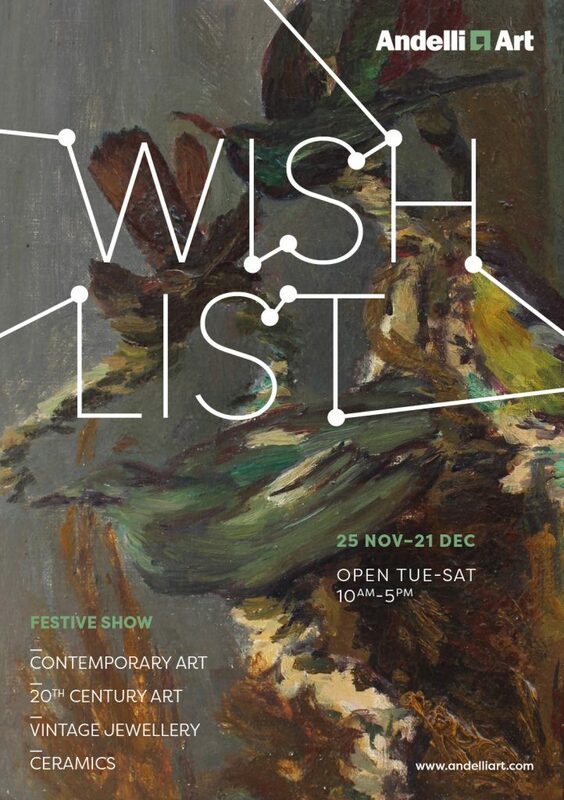 ‘Wish List’ has been extended to Friday 22nd December, open from 10-5. If you would like to visit outside these hours, please contact us. The exhibition features 20th Century/Contemporary art, alongside hand-picked and unique ceramics and vintage jewellery. 1960s gold-plated pendants and cufflinks from The Museum of Modern Art, New York and Arts & Crafts silver from Liberty.